Online retail giant Newegg has announced that Canadian customers can now use Bitcoin to complete purchases via Newegg.ca. With the expansion, Newegg becomes the second major online retailer to extend Bitcoin payments from the US to Canada. TigerDirect previously added bitcoin payments to its Canadian website in July. After the success the US newegg.com had with accepting bitcoins, Canadian costumers can now enjoy Bitcoin payments as well. The Los Angeles-based online retailer partnered with BitPay once again to bring this to reality. It’s also worth noting that with an annual revenue exceeding $2.8bn newegg is the second billion dollar merchant to be a BitPay client next to TigerDirect. International altcoin and Bitcoin payment processor GoCoin has formed a new partnership with Apriva, a major point-of-sale payment processing solutions company, to bring altcoin and Bitcoin payment options to Apriva’s more than 1,000 channel partners. Apriva is a leading provider of secure, end-to-end wireless transaction and information solutions. Their partnership with GoCoin will bring more payment option to Appriva’s clients and those options will not only include Bitcoin, but Litecoin and Dogecoin as well, as GoCoin provides support for those as well. Apriva’s CEO went on to state that the partnership with GoCoin was a natural result of the exceeding consumer demand, and that the inclusion of cryptocurrencies to their services will set them apart from other payment processing solution providers. Santander Group, the largest bank in the Eurozone by market value, commissioned ‘insight network’ and consultancy firm Yegii to conduct a study to “analyze the impact of Bitcoin and other cryptocurrencies on banks and devise a strategic course of action,” reported HashReport. The consulting agency Yegii was founded in early 2014 and has the goal to consolidate information from all sides of socioeconomics in order to guide company executives accordingly. Based on the challenge description posted in their website the deadline for the final report is September 20. In fact, this is not the first time a bank commissions a study focused on Bitcoin. Among others, the National Australia Bank and Dutch banking company ING have also done the same in the past. An alliance of local African free-market pioneers that formed to promote Bitcoin’s economic benefits has put its campaign on hold to join the fight against Ebola, the virus currently ravaging parts of West Africa. 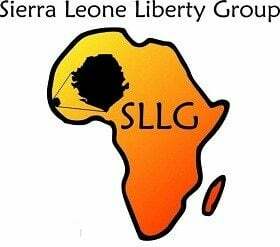 In an effort to demonstrate Bitcoin’s efficiency the Sierra Leone Liberty Group is looking to raise bitcoin donations. The group is looking to help stop the spread of the virus in their country but that’s not all. There’s also an attempt to make Sierra Leone a better place to live by creating a bitcoin ecosystem from scratch. The group intents to promote “entrepreneurship, free markets, and sound principles that are the basis of any prosperous society” as stated by the group’s founder Mustapha Cole. This is a great example of how bitcoin can help developing societies both through charity and innovation. The Australian Government has published a short “Bitcoin for businesses” guide on their business website, which aims to educate businesses on the benefits and pitfalls of accepting digital currency, like bitcoin, in exchange for goods and services. But besides of educational purposes, the guide is also shedding some light on the legal aspects of Bitcoin by giving business owners further guidance for matters such as taxation and more. Interestingly enough, the recent publication is indeed a guide, and it’s stance towards Bitcoin, and cryptocurrencies in general, is extremely friendly. It’s a well written, simple to understand guide through on what Bitcoin is, how it works, and how business owners can approach it and accept payments using it, without focusing on Bitcoin price volatility, or misleading information. There are also chapters about tax implications, and using bitcoin to pay employees .